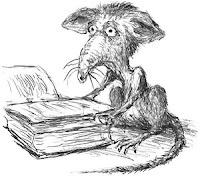 After reading two novels narrated by animals, I began to wonder if there were more out there because I enjoyed the different point of views I got from animal narrators, and I also found it interesting that they usually seemed to examine dark themes. So I got to researching, and while I did find a lot of novels with animal narrators here, so far I haven't been able to find much when it comes to African literature. 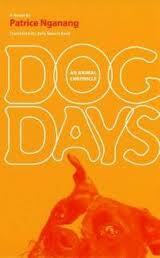 Dog Days: An Animal Chronicle (Temps de chien: chronique animal) by Patrice Nganang is narrated by a dog, who has learned not to expect much from life. He can, however, observe the life around him - the impoverished Cameroon of the early 1990s, a time known as les années de braise (the smouldering years). When he isn't limited by the length of his master's leash, he wanders the streets of Yaounde relating the wildly diverse language of the street - French, Pidgin English, Medumba - and reflecting the elusiveness of meaning in socially and politically uncertain times. I am yet to read Dog Days, but there's a review of it on the 37thState Blog by Ainehi Edoro, whose blog Brittle Paper, is definitely worth checking out - it's "a fun blog on literature and philosophy". 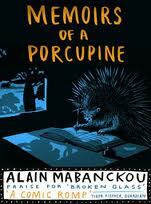 In Memoirs of a Porcupine by Alain Mabanckou, an African legend which says that all human beings have an animal double is brought to life. Our narrator, the animal double of Kibandi, tells us the story of his long (very interesting) porcupine life now he is free from his master. 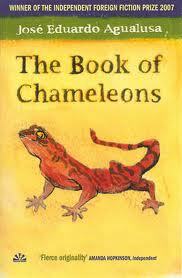 In The Book of Chameleons by Jose Eduardo Agualusa Felix Ventura, an albino native in Luanda, deals in memories and forging new pasts for those in need of it, who can also afford it. In this beautifully written short novel, Felix, along with a beautiful woman, a mysterious foreigner, and our witty narrator come together to discover the truth of their lives and how creating new pasts isn't as easy as you'd think. What have I missed? There has to be more out there that I am yet to find. Any other recommendations on Animal Narrators in the African novel? I would really love to know.